What do you do when some of your members become agitated and cause confusion in your services? That is what we faced at The Special Gathering of Melbourne on Sunday morning. Special Gathering is a ministry within the mentally challenged community, doing evangelism and discipleship. We meet at First United Methodist Church in Melbourne. They allow us to use their facilities. We kind of zig when they zag. In that way, we aren’t in each others’ way but we are still a vital part of their Sunday worship program. And they are a vital part of ours. Over the past several weeks, Johnny has become increasingly agitated during the worship time. He is on the autism spectrum and mentally challenged; normally, there are no problems. He sits quietly rocking and humming. Yesterday was different. For some reason, he became excited and confused. His humming was almost at the volume of yelling. In addition, it appears that another member, Lawrence, is on a new behavioral program. He is also on the autism spectrum. 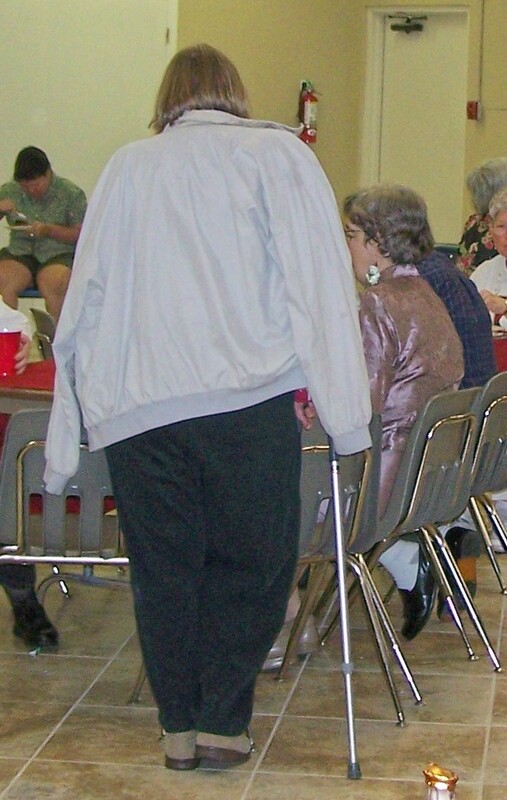 His caregiver put him in the middle of the seating area and walked to the back of the room. The Lawrence and his caregiver have always sat together in the back of the room because of Lawrence’s behaviors. About every five minutes Lawrence would stand up, talking in an agitated way to no one in paticular and point repeatedly and extravagantly to his companion. Like troopers, all the members ignored Lawrence’s behaviors trying to concentrate on the sermon. At Special Gathering, we have several rules of thumb when dealing with disruptive behaviors. We aren’t behaviorist and we don’t claim to be but we have found certain techniques that seem to work. Behaviors that are best ignored are those that are part of a person’s disability. I would never stop Johnny’s quiet humming and rocking. It gives him comfort and he only does it on the days that he is deeply disturbed. When he becomes loud, there is one volunteer who is able to calm him immediately, with only a gentle touch on the shoulder. She has trained herself to be acutely aware of his moods and to move quietly to Johnny when the noise level gets to a certain point and gently touch his shoulder. I also find that our members monitor each other. As long as it is done without condemnation and in a polite and appropriate manner, allow the members of the class to do the correction. A simple “that’s not appropriate behavior” from a peer is almost always enough to get someone who is acting out to cease. Try to determine if the behavior is an attention-getting devise. If you believe it is, then totally ignore the person or put the person in a place where they will not get the attention they crave. Asking the person to sit in the back of the room may be the worst kind of punishment for an attention-starved individual. Charles has starting echoing my sermons. Because it’s his tenth year as a member and he has never done this before, I felt it was an attention-getting behavior. When I saw him looking at me, trying to get my attention, I knew that it was. Try giving the offending person a small amount of added attention. Charles loves sitting on the front row. Each week Charles and I have a short talk. “Charles, if you are going to repeat me during the devotions, you need to sit in the back of the room,” I tell him. “I’ll be good” is always his answer. I assume he just needs that few minutes on undivided attention to reassure him of his place in the program. Become sensitive to your volunteers. If there is one volunteer who seems to have a good repore with a certain member, casually pair them and encourage them to hang out together. This will help to eliminate some, if not most, of the concerns. Prayer works wonders. After asking permission, you may find it effective to gently lay your hands on the agitated person. If the person is autistic, ask him/her if s/he would like to hold your hand. Hold your hand out in space but don’t touch. Allow her/him to reach over and take your hand, don’t initiate the touching. Should the situation really get out of hand and there appears to be danger, the volunteers must remove the members from the room or area of danger. You may also want to remove yourself from the room. Allow the person to work through his agitations and be sure the room is quiet before returning in to the room. Remember you can replace furniture. You can’t replace a person. It is best to have one person (the person who holds the highest position in the organization) deal with the problems while all the volunteers and staff offer assistance and comfort to the rest of the members. Calling 911 should be an option. Before a person is allowed to hurt someone or themselves, calling in professional help may save a broken bone. Again, we aren’t trained behaviorist and we don’t claim to be. However, these are some helpful techniques that we have found that work. What are some of the things that you have found which work to calm down a person who has become agitated?